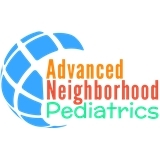 Advanced Neighborhood Pediatrics (Clarksburg) - Book Appointment Online! Dr. Onyinye Onyekwere is a Pedatrician and an Pediatric Hematologist and an Adult sickle cell disease specialist in the Washington, DC metropolis (Maryland and District of Columbia). She specializes in General Pediatric, Hematology & Oncology, Pediatric Anemia and Red Blood Cell Hematology. She received her medical degree from Michigan State University College of Human Medicine, and has been in practice for 22 years. Prior to starting Advanced Neighborhood Pediatrics, Dr. Onyekwere completed her pediatric hematology oncology fellowship at the St Jude's Children Research Hospital, and Children's Hospital of Boston and the Dana-Farber Cancer Institute in Boston, MA, and was a staff at Howard University Hospital. Beyond education and experience, Dr. Onyinye Onyekwere is a very warm doctor with excellent bedside manner. Your loved ones will be well cared for in our clinic.